The Rev. 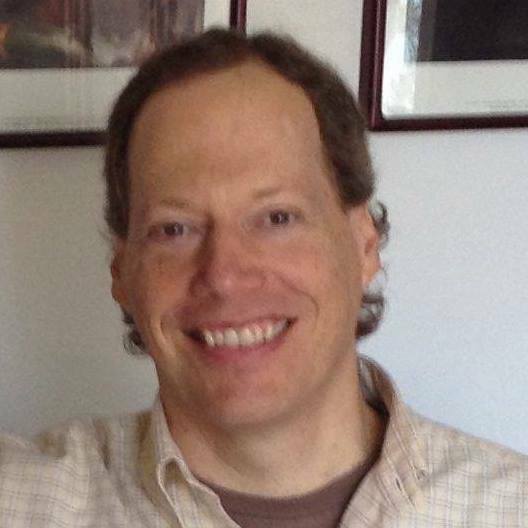 Dr. Christopher R. Smith is an an ordained minister, a writer, and a biblical scholar. He was active in parish and student ministry for twenty-five years. He was a consulting editor to the International Bible Society (now Biblica) for The Books of the Bible, an edition of the New International Version (NIV) that presents the biblical books according to their natural literary outlines, without chapters and verses. His Understanding the Books of the Bible study guide series is keyed to this format. He was also a consultant to Tyndale House for the Immerse Bible, an edition of the New Living Translation (NLT) that similarly presents the Scriptures in their natural literary forms, without chapters and verses or section headings. He has a B.A. from Harvard in English and American Literature and Language, a Master of Arts in Theological Studies from Gordon-Conwell, and a Ph.D. in the History of Christian Life and Thought, with a minor concentration in Bible, from Boston College, in the joint program with Andover Newton Theological School. Q. I often hear people say that when Jesus cried out on the cross “My God, my God, why have you forsaken me?” this was a poignant expression of his suffering and abandonment. But given how well Jesus knew the Scriptures, and how strongly the whole of Psalm 22 describes him and his situation, didn’t he likely have the whole psalm in mind? If so, you could equally see his cry as conveying triumph through suffering. When I thought of this it changed my whole view of the crucifixion. There’s an extensive discussion in Session 8 of the Psalms study guide (pages 52-53) of how Jesus appealed on the cross to Psalm 22. In my view, the best understanding of what was happening when Jesus cried out “My God, my God, why have you forsaken me?” recognizes both the sense of abandonment he was expressing immediately through these words and the sense of faith and trust that’s articulated over the course of Psalm 22, to which he was indeed alluding in its entirety. In other words, in our interpretations we need to honor what Jesus was experiencing in the moment, but we also need to recognize that he was giving voice to that experience through the words of an ancient inspired song of faith. Jesus was taking his place in the long line of Israelites who used the psalms, written centuries earlier for other occasions, to express what was happening in his own relationship with God. The Psalms were gathered into a collection and made part of the Bible precisely because people had been using them in this way for so long. Psalm 22 was probably originally written by someone who had a deadly illness. However, the uncanny resemblance between what the psalmist describes and the experience of crucifixion, unknown at the time the psalm was written, has convinced many that the inspired writer was given an advance glimpse of Jesus’ sufferings on the cross. In that case this would be a Messianic psalm that speaks as much about the coming Messiah as about the original circumstances of the author. What we can say for certain is that just as the people of Israel looked back to earlier songs (the psalms) to express their own spiritual experiences, the psalmists themselves also looked forward, as authors like this one express the hope that their words will be used by later generations. Psalm 22 is a classic psalm of supplication that moves from a cry for help to a statement of trust, and after a description of troubles and petition makes a vow of praise that envisions people in the future all over the world hearing about God and worshiping him. Jesus fulfilled this vision by creating a worldwide community of followers through his life and ministry, his death on the cross, and his resurrection and ascension. So the psalmist gave Jesus some words through which to express his most vital spiritual experience, and Jesus in turn gave those words the most marvelous fulfillment that could be imagined. Author Christopher R SmithPosted on October 1, 2012 October 9, 2018 Categories Prophecy, SalvationTags abandoned, crucifixion, Prophecy, Psalm 22, Psalms/Lamentations/Song of Songs study guide, quotation1 Comment on Was Jesus really forsaken on the cross? 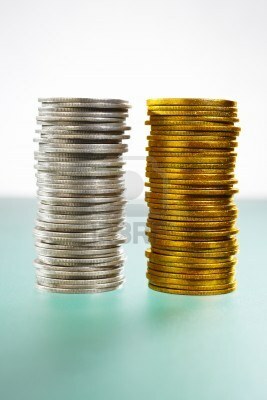 In yesterday’s post we began to explore the question of whether the Bible says we shouldn’t pay or charge interest. We saw that the term nešek is sometimes translated “usury” or “excessive interest,” especially when paired with the term tarbit. But other times nešek is translated simply as “interest.” The difference is important for those who want to live by the Bible’s teaching. A likely solution to this problem has come from recent advances in biblical scholarship, which have suggested a subtle distinction between nešek and tarbit. Nešek seems to mean charging a certain percentage of a loan for each given period that it remains outstanding (for example, 5% per year), while tarbit seems to describe requiring a debtor to pay back a fixed amount more than was borrowed. These were, apparently, two different practices of moneylenders in biblical times. The latest update to the NIV (2011), which incorporates many such advances in scholarship, reflects this new understanding by saying in Ezekiel that the righteous person does not lend to the needy “at interest” (no longer “excessive interest”) or “take a profit from them.” In this version Proverbs now speaks similarly not of “exorbitant interest” but of “interest or profit.” Nešek is now translated as “interest” rather than “usury” in Psalm 15, and the translation remains “interest” in Exodus, Leviticus, and Deuteronomy. So is this a principle we should follow in our own day? Should we not deposit our money in banks that will lend it out at interest, and should we not use credit cards so that we won’t be complicit in others charging (us) interest? In deciding such matters, we need to appreciate the difference between the biblical context and our own. In the basically cashless ancient economy, those who were very poor often had to borrow the food, seed, and clothing that they needed. But they had nothing to guarantee these loans except their land or persons. And so adding even a small amount of interest or profit would likely make it impossible for the poor person to repay the loan. This would lead to land forfeiture or slavery. In other words, the real objection is to predatory lending that exploits and victimizes the poor. The Israelites were to fear God and help the poor freely instead. We do have at least one hint in the Bible that in other, more commercialized contexts a reasonable amount of interest that allows lenders to offer a needed service and make the profit necessary to stay in business is permissible. 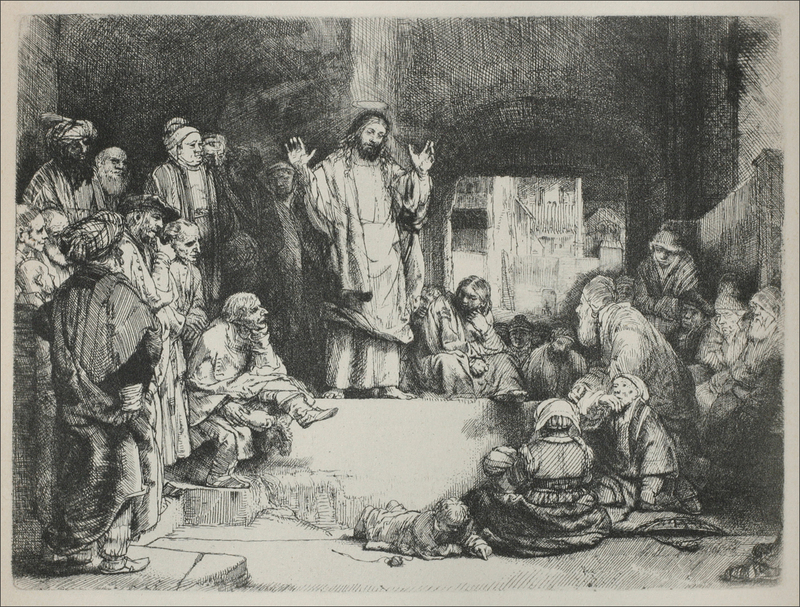 In Jesus’ parable about the three servants who were entrusted with money during their master’s absence, the master–who represents God–says to the last servant, “You should have put my money on deposit with the bankers, so that when I returned I would have received it back with interest” (Matthew 25:27). However, as a matter of stewardship and godliness, we certainly shouldn’t use credit cards to buy a lot of things on impulse and be saddled with debt that keeps us from effectively participating in God’s work around us through our gifts and investment. Self-control, savings, and discerning stewardship are important things we can build into our lives by asking carefully about paying interest. Whatever convictions we reach in the end about charging or paying interest, we are clearly called to help the poor generously and freely, and actively oppose any practices that exploit them. Q. In Ezekiel there are several mentions in the NIV of “usury or excessive interest.” Is there any linguistic reason to translate it that way, or is it just to accommodate modern readers’ comfort with charging interest? I had heard that usury originally meant charging any interest at all. There’s not currently a study guide to Ezekiel in the Understanding the Books of the Bible series, but I’m very glad to answer your question. It deals with an issue that comes up in other books such as Proverbs, Psalms, and Deuteronomy, for which there are guides (these links will take you to them). It’s an important question for those who want to live by the Bible’s teaching. 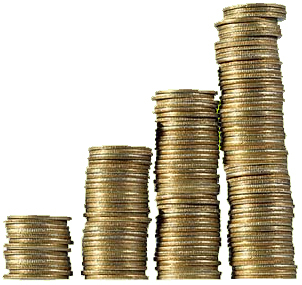 Should we not deposit our money in banks that will lend it out at interest? Should we not use credit cards so that we won’t be complicit in others charging (us) interest? The challenge in translating the passages you’re referring to in Ezekiel is how to render two separate but related terms, nešek and tarbit. Why does Ezekiel use both terms when he says, for example, that the righteous person “does not lend with nešek or take tarbit“? Is this a poetic parallelism, the juxtaposition of terms that are synonyms? But translating nešek alone as “excessive interest” is, as you observe, inconsistent with the way the 1984 NIV usually translates this term elsewhere. It does render nešek in Psalm 15 as “usury,” but in other passages the word has the sense of ordinary interest: “If you lend money to one of my people among you who is needy, do not be like a moneylender; charge him no interest” (Exodus); , “Do not take interest of any kind” from a fellow Israelite” (Leviticus); “Do not charge your brother interest” (Deuteronomy). So which is it? Does the Bible say that we shouldn’t charge or pay any interest at all, or just exorbitant interest? I’ll share some thoughts about this tomorrow . . .
How can I get other people to read and study the Bible with me? The study guides are great, but I don’t have anyone to study with. Do you think it’s a problem just to use them at home on my own? 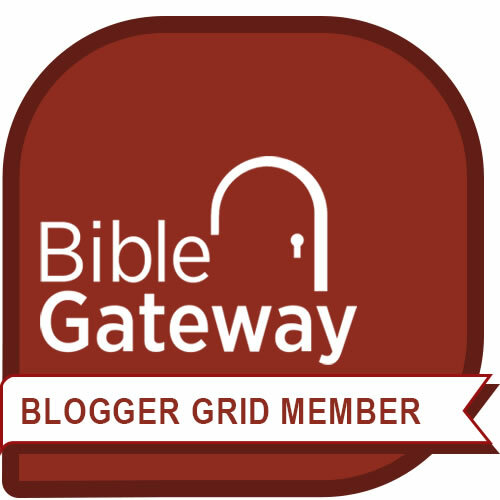 Do you have suggestions for how to start a Bible reading group? The guides in the Understanding the Books of the Bible series are designed so that they can be used by either individuals or groups. If you’re using them on your own, the questions in each session will help you reflect on the meaning of each passage as you work through whole biblical books. As the guides suggest at the beginning, you can record your reflections in a journal or notebook. So how might a person recruit that bunch of friends? I’d say that the first thing is to recognize that your desire to read and discuss God’s word with other people is a desire that God has given you and that God will help fulfill. Knowing that God is going ahead of you, you can confidently pray and then approach some of the people in your life that you’d most like to study the Bible with. Ask them if they’ll be willing to meet with you weekly for a couple of hours. Pick a time of day that works best for all of you. Perhaps suggest a limited time commitment to begin with, such as 12 weeks, with the option to continue beyond that. Show them a copy of the study guide you’d like to use and a copy of The Books of the Bible. Trust that God has some people out there to whom he’s given the same desire that’s in your heart. It’s amazing how these groups grow to a good size (8-12 members) once they get started. In graduate school my wife and I approached a few fellow students about forming a small group. One agreed to join and also invited a friend. That friend brought another friend. Another student brought a friend as well. Soon we had eight regulars and a great study group was off and running. Don’t be discouraged if the group starts small. In the InterVarsity chapter we volunteer with, we once went to the first meeting of a planned small group and only the two leaders were there. So we spent that first meeting praying that God would add to our numbers. Within a few weeks seven other people had joined us! I’m sure you too will see God sending along other people to read and study His word with you when you respond in faith to this desire that He’s given you. Blessings on your endeavor! Author Christopher R SmithPosted on September 21, 2012 January 31, 2014 Categories Using my study guidesLeave a comment on How can I get other people to read and study the Bible with me? Is it all right for Christians to get tattoos? Q. In your guide to Paul’s Journey Letters, when you get to the end of Romans you ask about outward ways of identifying as a follower of Jesus. When we discussed this question in our group, the subject of tattoos came up. Most of the group members didn’t have a problem with them. But I thought Christians weren’t supposed to get tattoos. Doesn’t the Bible say, “Do not put tattoo marks on yourselves”? I personally don’t think this one verse can be used as a proof-text against tattoos. The particular commandment you’re describing is found in Leviticus. It says in full, “Do not cut your bodies for the dead or put tattoo marks on yourselves.” The concern is with cutting or marking oneself as a pagan worship practice designed to appease or cultivate the spirits of the dead. (A similar commandment is found in Deuteronomy, “Do not cut yourselves or shave the front of your heads for the dead.”) So this is not necessarily a prohibition of using these practices for other purposes, including identifying oneself as a follower of the true God. However, we need to be careful here. There are other things that are mentioned in the Bible only in the context of pagan worship, such as human sacrifice, that we shouldn’t conclude are acceptable in other contexts. We really need some indication that a practice can be used positively to honor God before we decide that any prohibition against it is really aimed only at pagan worship practices. In the case of marking the body, in one of his visions Ezekiel sees a man with a “writing kit” whom God tells, “Go throughout the city of Jerusalem and put a mark on the foreheads of those who grieve and lament over all the detestable things that are done in it.” This image is echoed in Revelation when God “seals” the 144,000; later in that book we learn that they had the Lamb’s name and his father’s name “written on their foreheads.” Jesus also says in Revelation, in his letter to the church of Philadelphia, about anyone who remains faithful, “I will write on them the name of my God and the name of the city of my God . . . and I will also write on them my new name.” So Ezekiel and Revelation use the symbol of God marking or writing on his servants as a positive sign of protection and identification. 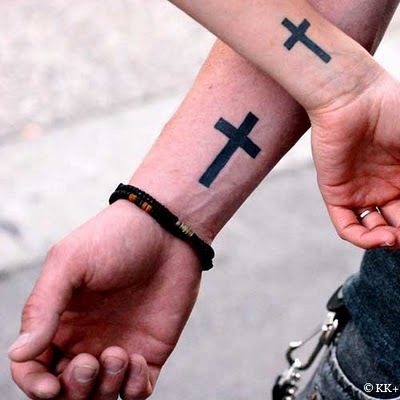 However, these passages really can’t be used as proof-texts in favor of tattooing, any more than the one in Leviticus can be used as a proof-text against it. This isn’t just because Ezekiel and Revelation are highly symbolic books and it’s often difficult to know how literally to take their imagery. Rather, it’s because those two books, like Leviticus, are recording the warnings and encouragement that God gave his faithful people over the centuries as examples and instruction for us today. We’re not supposed to turn any of this into rules, but rather use it to become familiar with the ways of God so that we can discern how to follow those ways in our own place and time. In other words, a tattoo is really just ink on the skin, not something spiritually dangerous in itself. But a person who’s deciding whether to get a tattoo should ask how this would build up other believers and how it would make for peace within the community of Jesus’ followers. And whatever a person decides on a question like this, they should have a well-considered position that they keep mainly as a private conviction between themselves and God, and grant others freedom to follow their own convictions. Author Christopher R SmithPosted on September 19, 2012 October 9, 2018 Categories Christian LivingTags convictions, law, liberty, Moses, Paul's Journey Letters study guide, standards, tattoo7 Comments on Is it all right for Christians to get tattoos? Why did Jesus say he wasn’t going to the Festival of Tabernacles and then go? Q. In John 7, Jesus tells his brothers he’s not going to go to the Festival of Tabernacles, but then he goes anyway. By faith I’m accepting that this is not sinful deception, but do you have any thoughts about why it’s not? I discuss this dynamic specifically in the cases of people like Nicodemus and the woman at the well, and the same thing is going on when Jesus speaks with his brothers here. When he says, “I am not going up to this festival, because my time has not yet fully come,” his brothers think he’s speaking on a material level and saying that it’s not a convenient or strategic time for him to travel to Jerusalem. But since he does then go to Jerusalem, readers of the gospel are supposed to understand that this wasn’t what he meant. Instead, his reference to “my time” (a richly symbolic phrase in this gospel) shows that he means he won’t be “going up,” that is, ascending to the Father after dying as the Savior of the world, at this particular festival, but rather at a later Passover. So this is one of the many places in John’s gospel where a deeper meaning lies behind Jesus’ words and where the difficulty we have in understanding those words should drive us to seek that deeper meaning. (“How can someone be born when they are old? Surely they cannot enter a second time into their mother’s womb!” “You have nothing to draw with and the well is deep. Where can you get this living water?”) Accepting by faith, as you did, that Jesus is not being deceptive is the first step in discovering the true, rich, saving meaning of his words. Author Christopher R SmithPosted on September 17, 2012 October 9, 2018 Categories Bible: InterpretationTags brothers, deception, Jesus, John study guide, Tabernacles4 Comments on Why did Jesus say he wasn’t going to the Festival of Tabernacles and then go? Does “contemplating the Lord’s glory” mean mystical experiences? In your study guide to Paul’s Journey Letters, you ask a question about the passage in 2 Corinthians where Paul talks about “contemplating the Lord’s glory.” I wondered whether it was at all possible he was thinking (in part) of mystical practices. I’ve read that some Jews at the time were interested in having chariot visions, etc., and since “glory” is so closely associated with visions of God in the Old Testament, I wondered whether there could be a connection. Paul does talk elsewhere about seeing into layers of heaven. 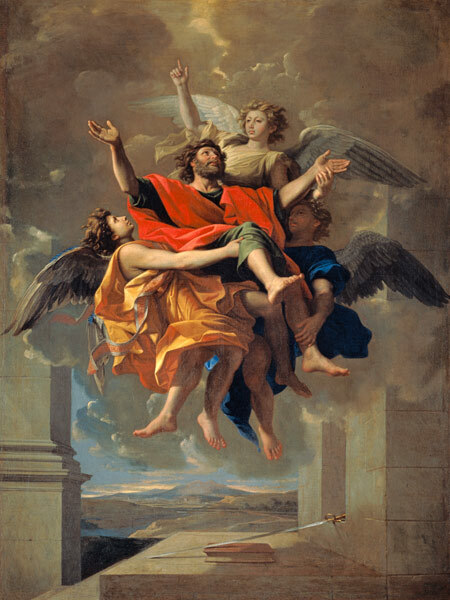 It’s true that some Jews, starting a couple of centuries after Paul, did try to have mystical visions of God’s heavenly enthronement, including visions of God being conveyed in a celestial chariot like the one Ezekiel saw that was formed by four living creatures or cherubim. Some interpreters have even suggested that Paul’s Damascus Road experience and his vision of the third heaven (described later in 2 Corinthians) are early examples of this type of mystical vision. However, in light of the overall argument in 2 Corinthians, I think this is unlikely. As the study guide shows, that letter has four main parts. It culminates in a showdown, in the last part, between Paul and the so-called super-apostles. There he argues that the visions they pride themselves on are no real indication of spiritual maturity or authority—even though his own visions greatly surpass anything they’ve seen! Paul says he will not boast about visions like this, but only about his weaknesses, “so that Christ’s power may rest on me . . . for when I am weak, then I am strong.” Since Paul is building towards this climax, it would be inconsistent and self-contradictory for him to suggest earlier in the letter that he’s been seeking visionary experiences himself. Which brings me back to the end of the question in the study guide, about whether we’re experiencing this in our own lives. What things do we need to take out of the way between us and God so that we can directly contemplate his glory and be transformed? Author Christopher R SmithPosted on September 14, 2012 October 9, 2018 Categories Christian LivingLeave a comment on Does “contemplating the Lord’s glory” mean mystical experiences?